It was that time of year...time to finish our FOSS Earth Materials Stations...Moh's Hardness scale... Calcite Quest...Properties of a Rock...It isn't always the most exciting and at times it loses the kids. The kit can be loooonnnnggggg. I know I am not alone. We all have units that make it hard for us to keep the kiddos attention. Units that we have to follow because of district initiatives. We follow the plans...we try to add a fun twist...we think "how can we shake it up a bit?" 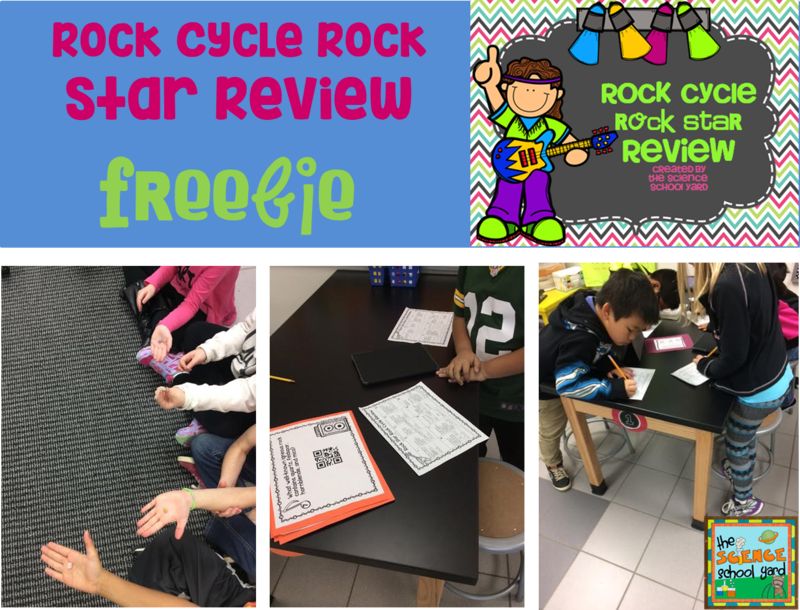 To finish up on the Rock Cycle lessons that I added, I also mixed it up with a little "ROCK" and roll. QR codes are a great way to get kids actively engaged in concepts such as vocabulary, studying for a test, and reviewing concepts. Sometimes my students scoot around the room....sometimes they have the cards at a station...other times like this we make it a competition. 1, Playing some rock instrumental music sets the mood. I just have it playing in the background lightly. 2. I share with the group that they are going to be rock stars today. Each time they pick a new card, that lead rocker will read the question, working as rock stars to try to figure out the answer. Rock Cycle Questions and Record Sheet...my students ROCKED IT! In a group of 3-4 they take turns reading, having everyone record, checking the qr code for the correct answer, changing it if they are wrong, and passing it to the number 2, then 3 rocker.... Each leader must also make sure that the same process is followed each time. Read, record, check, correct, pass to next rock star! 3. When each box is filled in with the correct answer, the band of rock stars must come up to me and show me that they rocked it out together. If they are all finished...first...I give them rock candy and a polished rock. The Rock Stars LOVED the candy rocks! 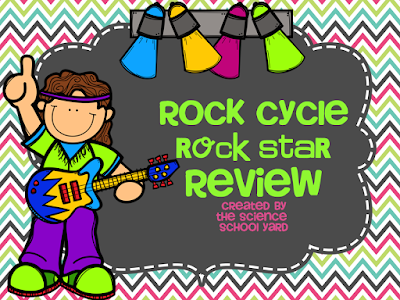 Here is a link to your own Rock Star Rock Cycle Review Freebie!